Purble Pairs is a card pair game in Purble Place game set created for kids introduced to Windows users with Windows Vista and Windows 7. I suggest parents introduce their children with this excellent matching pairs game for kids. 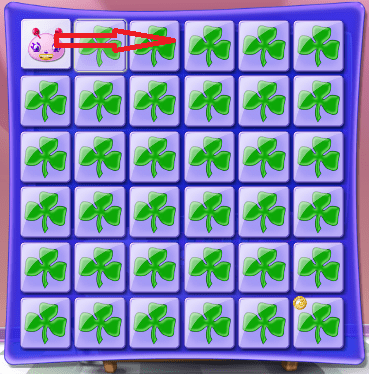 In this tips and tricks guide for Purble Pairs game, game players and your children will find clues to play Purble Place better and make higher scores in Purble Pairs game. 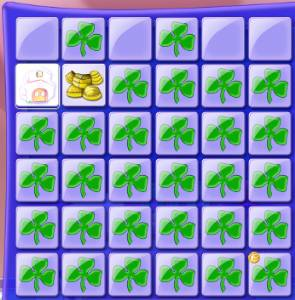 If you want to download Purble Pairs, please visit Free Download Purble Place for Windows XP and Play Purble Place where you will find free Purble Pairs download links. Give a name of yours to the Purble Pair card shapes. Naming Purble cards will make it easier to memorize those cards. Of course memorizing cards is the basic rule of a card pair game. Like "Blue Purble, Yellow Clothes, Green Hat, Purble Cake, Harlequin ..."
When your child start a new Purble Pairs game, let him or her open Purble Pairs cards in order. Start from top-left corner to open cards and follow the same direction within the cards layout. For instance, open the card which is on the top most left card, then open the one which is on the left next to it. 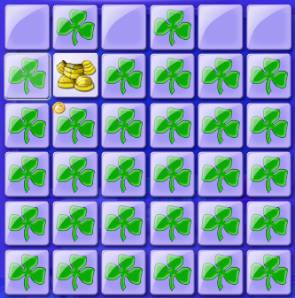 Using this method, Purble Pairs game player has to only memorize the card shapes. Player will be free of memorizing the shapes and the places of the cards at the same time. Open the cards that you are less sure as first card of a pair match try. By doing this method, if it has the shape you expect then you can open the pair of it whose place you are sure about. Otherwise, if you were remembering false then you have still a chance to find the pair of that card among others. Here is an example illustrating what I mean with this Purble Pairs tip. Assume that you opened the White House Purble pair card at the beginning of this lovely card matching game. After some time playing with Purble cards matching game, assume you opened first Yellow Purble Clothes and then White House card in order as seen in the above two screenshots. In order to complete a Purble Place pair successfully in Purble Pairs Windows 7 game, first I strongly advice players to open the card with tagged 1 first. Before you open this card, you expect it to be White House and after you open it you are now ready to open its match which you have just opened in the previous match. I marked that Purble card with number 2. This method prevents you to experience bad surprises within the Purble Pairs card matching game. In most games time is a critical issue in success and fail. It is the same in Purble Place card pairing game Purble Pairs. You should keep an eye on Purble hourglass which will turn from blue to red with diminishing time.